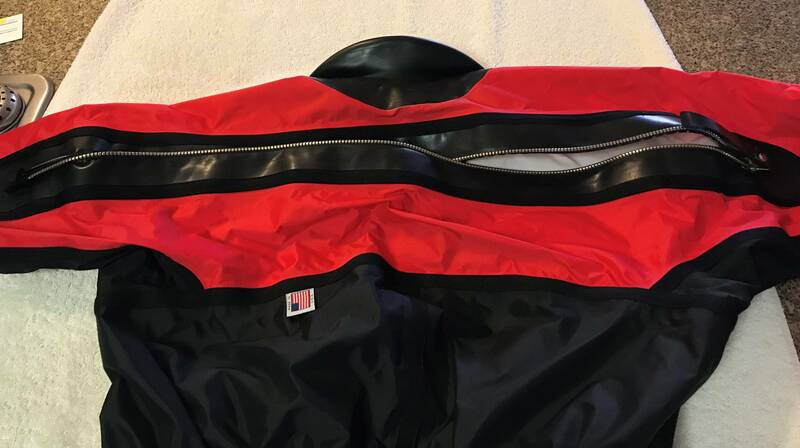 I've got an OS Systems Breeze drysuit that hasn't been used in a while, so it's probably time to pass it on. I believe that it's a men's size large, but cannot be sure as it doesn't have any sizing information on it that I can find. (Holding it up and "eyeballing it", it looks like a large to me.) The seals were redone a couple of years ago and it worked well the last time that it was used. It's in excellent condition, with no rips or tears or any kind of discoloration. Price includes shipping to the lower 48. I'm about 6'1 and 215. 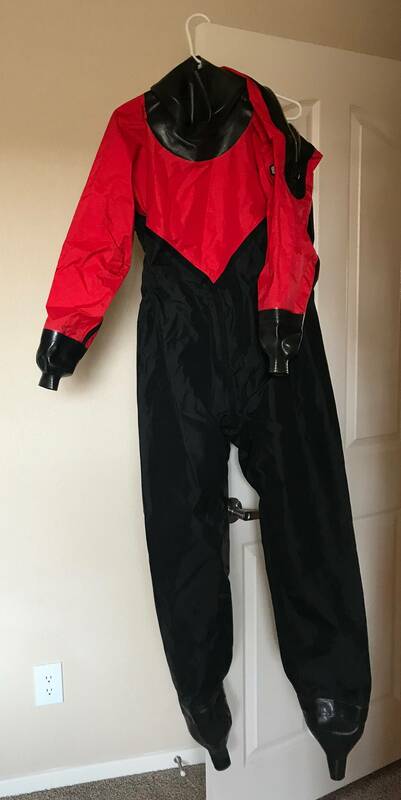 I know there isn't any sizing information, but do you think that it would fit somebody about my size? I would be highly interested if it would. @DevonEhrhardt I'm guessing that it will be just a bit too small for you. I measured the legs, arms & waist the other day & will update the posting with that info, & you can measure yourself to see if it will work. If you do get that posted I'll check! Hopefully somehow it will fit! Yup I edited the original listing & it's there now. Looks like it will be a fit! If its still available I would like to buy it off you! Okay cool. I’ve got one other person that I’ve been communicating with & I’d like to give him first right of refusal. If he decides no, it’s yours. I’ll PM you later with an update.